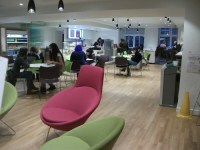 Services / facilities within the building include the Law School, library, lecture theatre, a cafe, classrooms and staff offices. 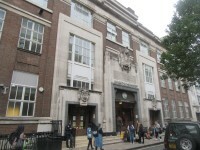 Related link 4-12 Little Titchfield Street Library. 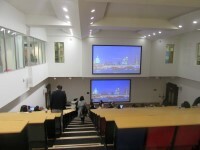 This venue is situated in the Regent Street campus. The nearest underground station is Oxford Circus. The dimensions of the marked Blue Badge bays are 300cm x 600cm (9ft 10in x 19ft 8in). 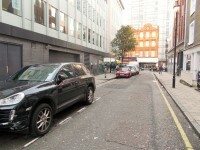 On street Blue Badge parking is located on Little Titchfield Street. 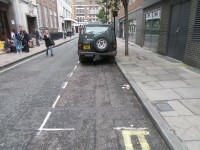 The dimensions of the standard marked parking bays are 300cm x 600cm (9ft 10in x 19ft 8in). 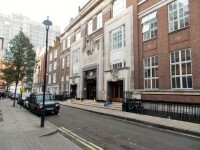 Standard marked parking bays are located outside the building. 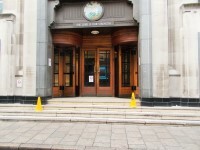 There are also revolving doors available either side of this entrance. 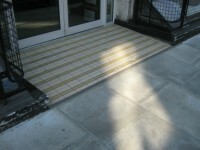 You are on Outside Access (Main Accessible Entrance). Skip to the next section. 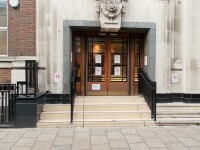 This information is for the entrance located at the front of the building, to the left of the main entrance as you face it. The width of the door opening is 184cm (6ft). You are on Lift (Main Accessible Entrance). Skip to the next section. 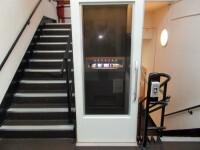 The lift is located directly in front of the entrance. The dimensions of the lift are 140cm x 170cm (4ft 7in x 5ft 7in). 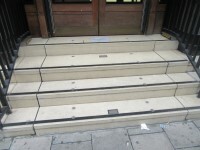 The steps in front of this entrance lower to form the platform of the lift. 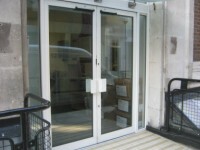 You are on Outside Access (Rear Accessible Entrance). Skip to the next section. 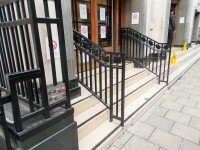 You are on Level Change (Rear Accessible Entrance). Skip to the next section. The ramp/slope is located in front of and just beyond the entrance. 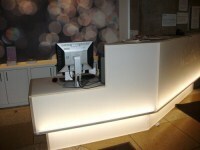 The desk/counter is 2m (2yd 7in) from the main accessible entrance. 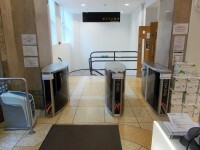 There are barriers, 54cm and 88cm wide, located next to the reception desk leading into the main part of the building from the main entrances. 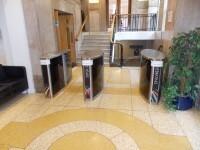 There are identical barriers on the far side of the main entrances foyer (shown in photograph 3), which are used to exit the main part of the building. 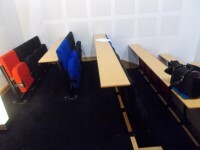 Hearing loops are fitted to the lecture theatres, teaching rooms and the Courtroom (shown in photograph 3). You are on Level Change (Steps to Cafe). Skip to the next section. 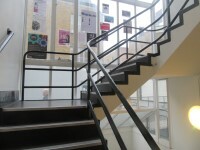 The step(s) is/are located on the right hand side of the ground floor. There is/are 9 step(s) to the area/service. You are on Lift (Lift to Cafe). Skip to the next section. 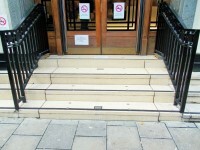 The lift is located by the steps, on the right hand side of the ground floor. 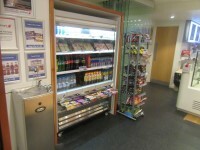 The lift is approximately 20m (21yd 2ft) from the main entrance. 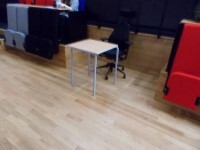 The nearest table is approximately 8m (8yd 2ft) from the Lift to Cafe. 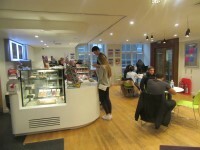 There are also coffee tables available in the cafe. 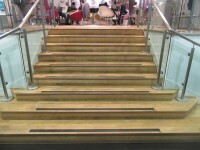 The floors which are accessible by stairs are B4-B3-B2-B1-1-2-3-4-5-6. 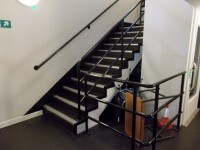 Floors B1 and B3 can be accessed by using the platform lift in the stairwell. The lift is located towards the rear of the building. 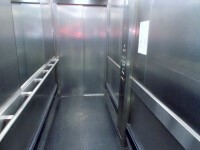 The floors which are accessible by this lift are B4-B2-G-1-2-3-4-5-6. 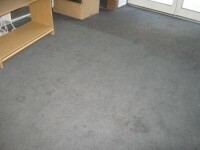 The lift is approximately 35m (38yd 10in) from the main accessible entrance. 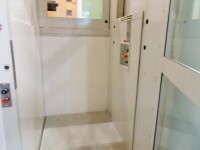 The dimensions of the lift are 115cm x 330cm (3ft 9in x 10ft 10in). There are 2 lifts here. The lift on the right hand side is smaller. 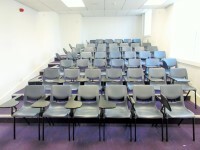 You are on Lecture Theatre G.03. Skip to the next section. 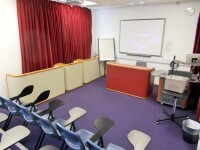 The lecture theatre is located in the centre of the building. 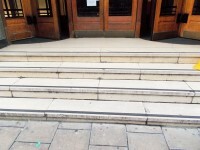 There are spaces available for wheelchair users at the rear of the theatre, accessed from the ground floor, just past the reception barriers. 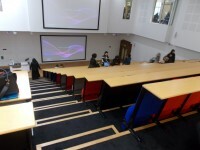 There are also spaces at the front of the theatre, accessed from floor B2, directly ahead from the lifts. You are on Lift (Prayer Room and Archive Lift). Skip to the next section. 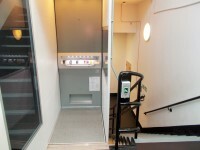 The floors which are accessible by this lift are B1-B3-B4. The lift is approximately 5m (5yd 1ft) from the main lifts. 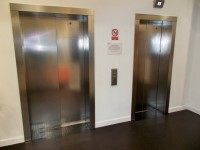 The dimensions of the lift are 83cm x 98cm (2ft 9in x 3ft 3in). 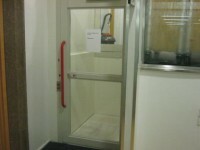 This lift is accessed on floor B4, via the main lifts. 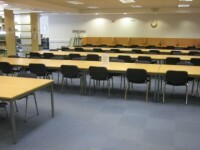 The prayer rooms are located on floor B1. Archives are located on floor B3. 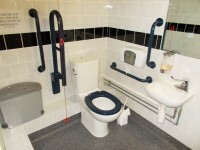 This accessible toilet is located in the far right hand corner of the ground floor from the main entrance. The width of the accessible toilet door is 9cm (4in). 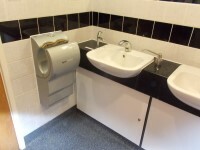 The dimensions of the accessible toilet are 152cm x 196cm (4ft 12in x 6ft 5in). 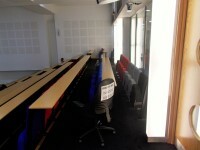 There is a similar accessible toilet on floor B2, outside the entrance to the main lecture theatre, which has the transfer space on the right. 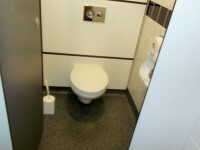 There is also an accessible toilet in the same location on floor 1. The female and male toilet facilities that were surveyed are located at the rear of the building, on the second floor by the lifts. The female and male toilets are approximately 3m (3yd 10in) from the lifts. 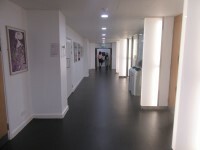 There are also toilets in the same location on floors 3-4-5, and also on the ground floor, except the female toilets here are accessed by steps.